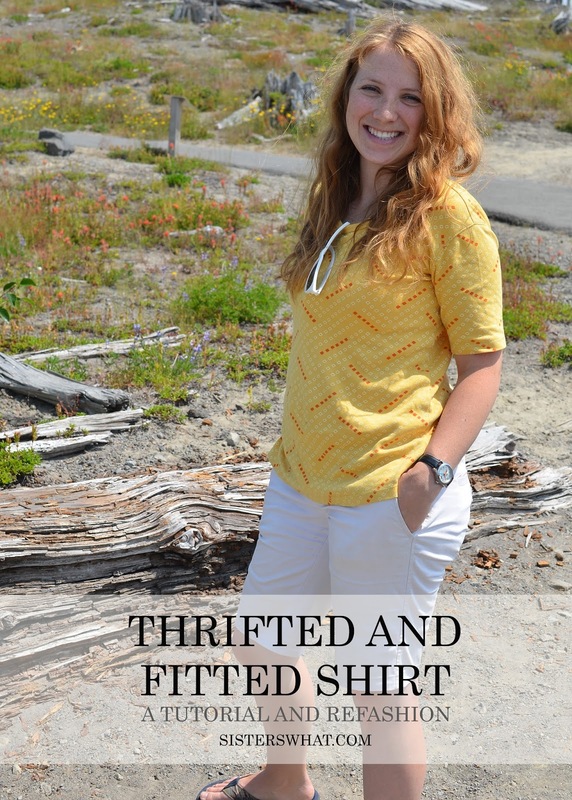 ' The Thrifted and Fitted Shirt [Tutorial] - Sisters, What! 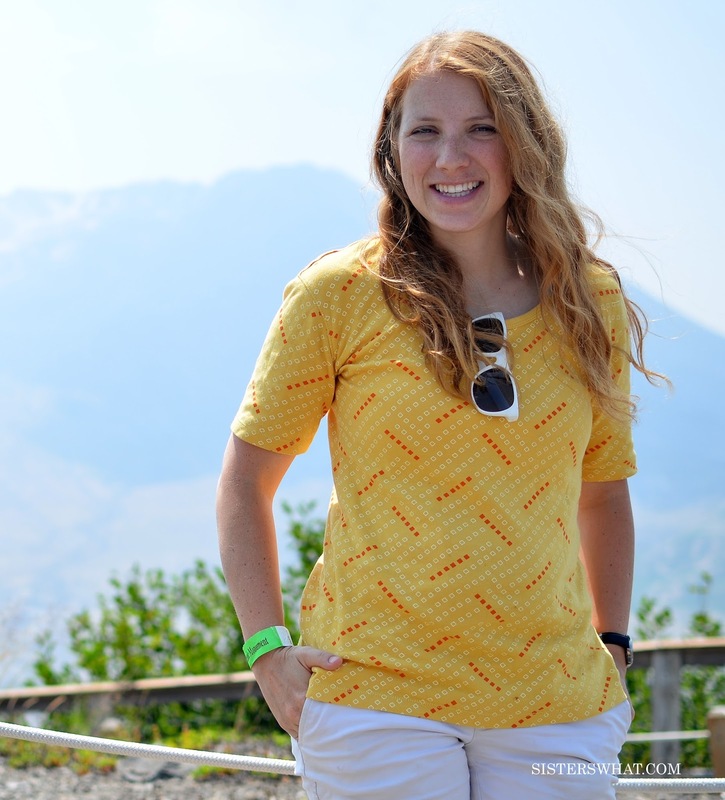 I love finding clothes at thrift stores because it's fun to find unique patterns and it feels good reusing something that is still in excellent condition. However, most of the time, the clothes that catch my eye are usually not my size. But, honestly I prefer it this way. Looking for clothes in any size gives me more options to choose from. Most of the time I just have to do some easy alterations to fit it to my size. //1//. First I got one of my fitted shirts and laid it on top the thrifted '90s shirt. 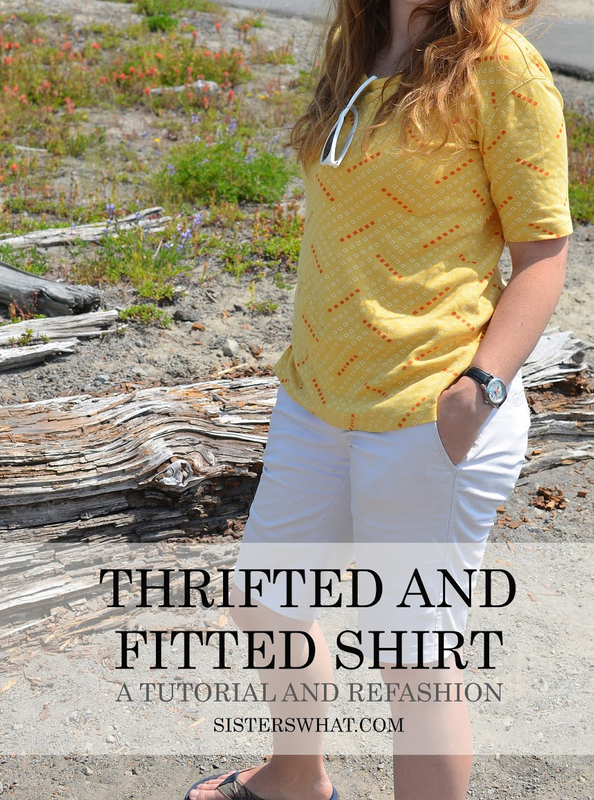 (The thrifted shirt should actually be inside out when you do this step). I then pinned (or marked it with a fabric pen) where I wanted to sew it. //2//Sew it and cut off the excess fabric and you now have a thrifted shirt that fits you just right. And seriously, I LOVE this shirt. It's so comfy. 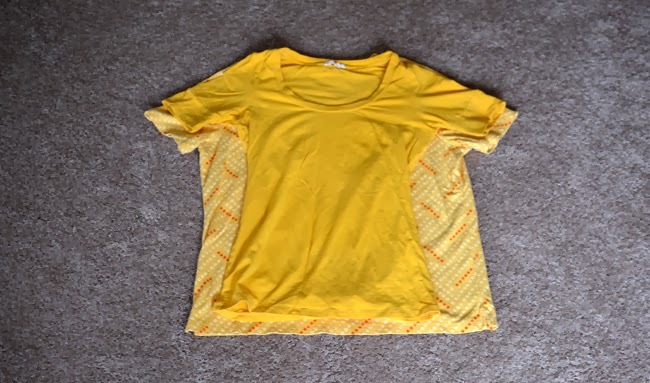 Sometimes I feel like shirts were made out of much better material a few years ago then some brands make shirts now (another good reason to thrift). Happy thrifting and sewing! 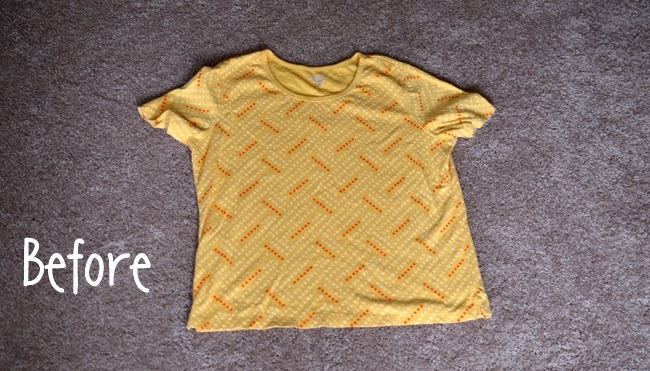 Glad I found this blog, Nice to pick up some fresh takes on sewing. Thanks.